Replacement Travel Bag / Carrying Case for the Respironic's DreamStation line of CPAP and BiPAP machines. 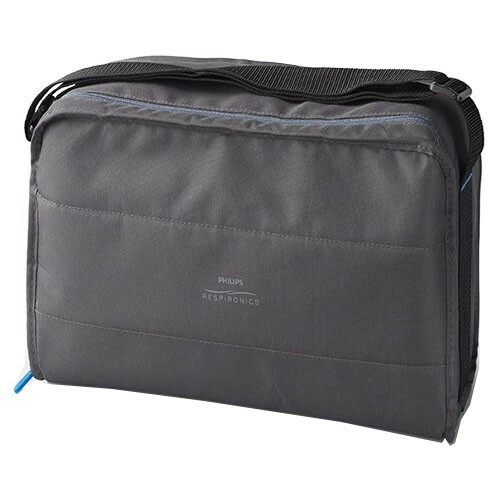 Stylishly constructed from durable canvas material, this travel bag has plenty of room for your DreamStation CPAP machine, humidifier, breathing tube, and CPAP mask. Received what I asked for. I recently ordered this case through Amazon. The item received was exactly what I had requested and the price was very good. I arrived within 3 calendar days via USPS priority mail. I will order from this company again. Thanks for a great first experience. Awesome and a great price! Delivery time was excellent! The carry case is exactly what I needed. Thanks!